2. Mix together butter, sugar and flour until completely mixed. 3. Grease 3 cookie sheets. Did you know Tyrannosaurus means “tyrant lizard”? 4. Roll out 1/3 of the dough on a very well floured surface until about 1/4 to 1/2 inch thick. 5. Use your awesome T. rex shaped cookie cutter to make terrific dino-shaped cookies (I got mine at Safeway). 6. Gently place cookies on cookie sheet and bake about 5 minutes until golden at the edges. Every oven is different so your cookies may take a little more time, watch them like a hawk. 7. 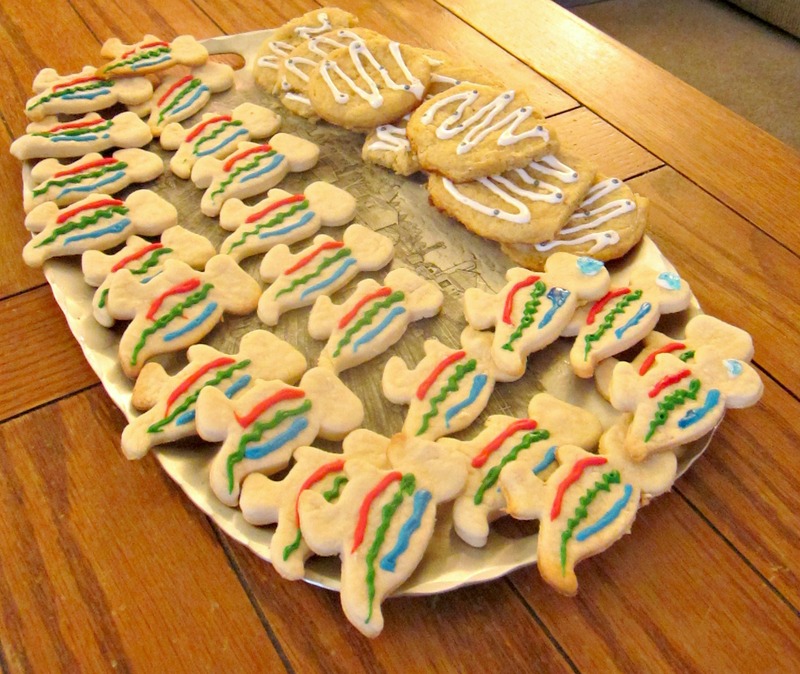 Let cookies cool completely before you ice with awesome dino colors. Enjoy! This man has a direct line to my funny bone. 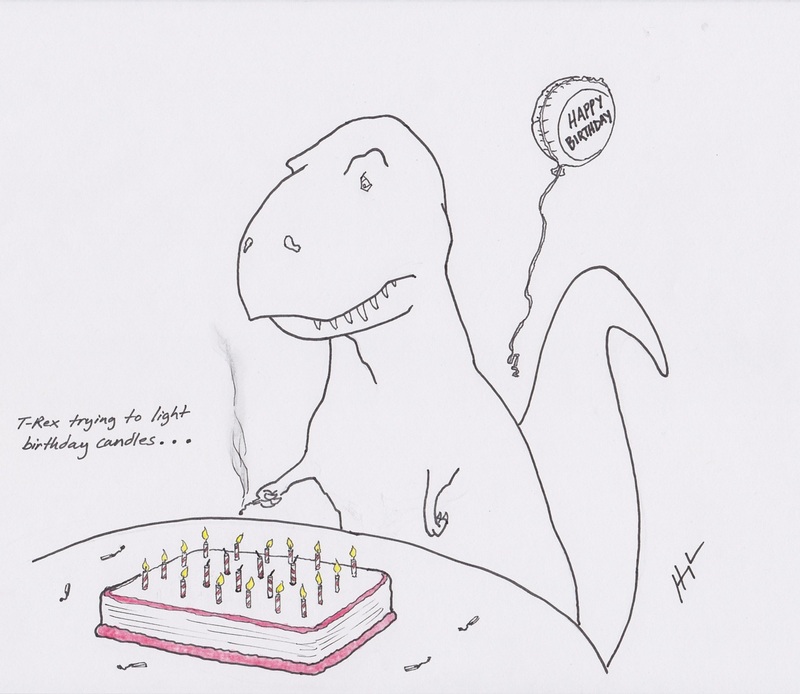 Check out all of T. rex’s fails brought to you by Hugh Murphy (http://trextrying.tumblr.com/).